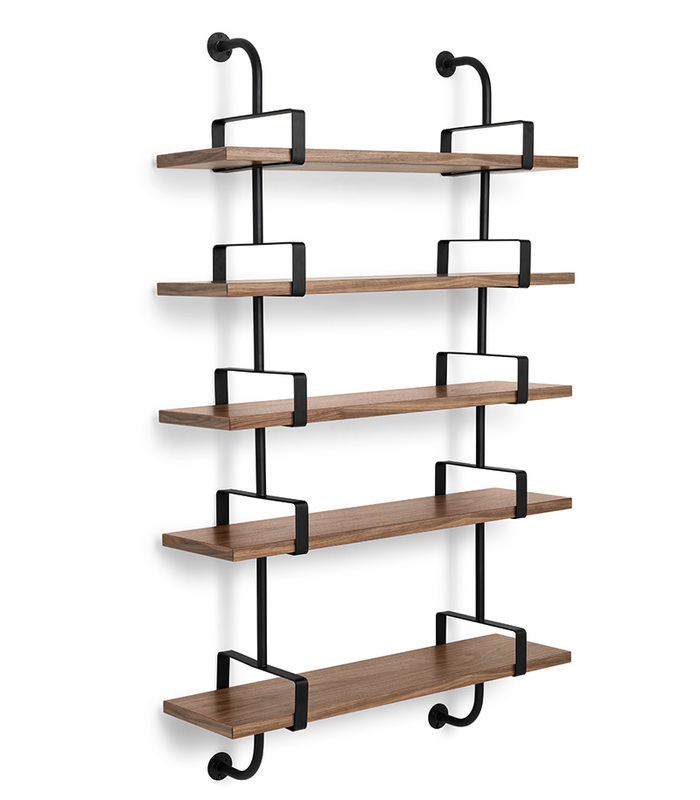 Modular shelves system, wall mounting, with 2 to 3 black metal rack stringers and wooden shelves of 26 cm depth available in walnut, oak or black stained ash and available in 4 length: 95, 155, 215 ou 275 cm. 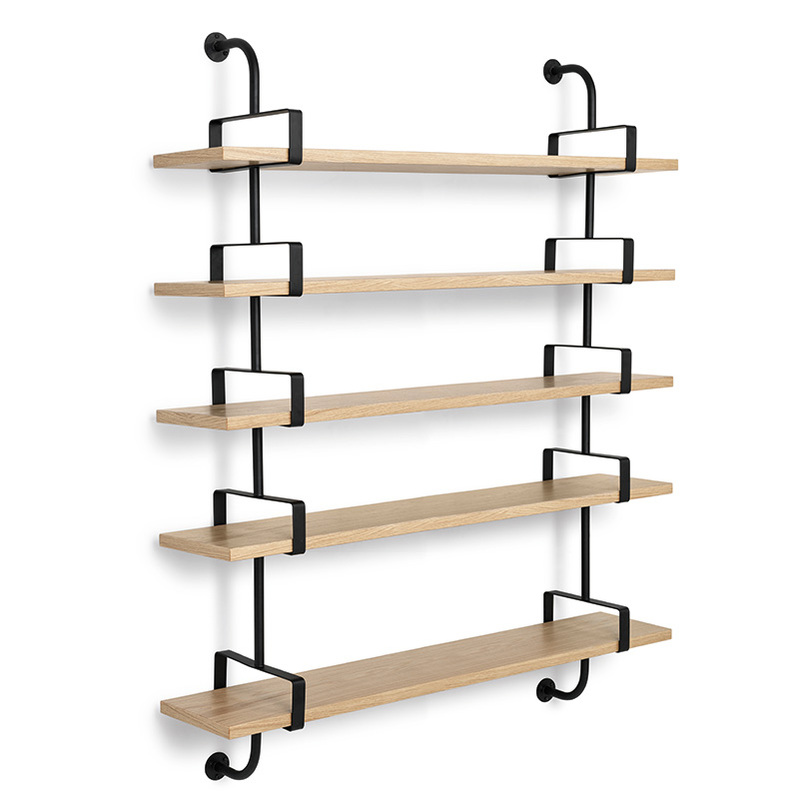 Heights: 1 shelf: 46 cm / 3 shelves: 105 cm / 4 shelves: 140 cm / 5 shelves: 155 cm. 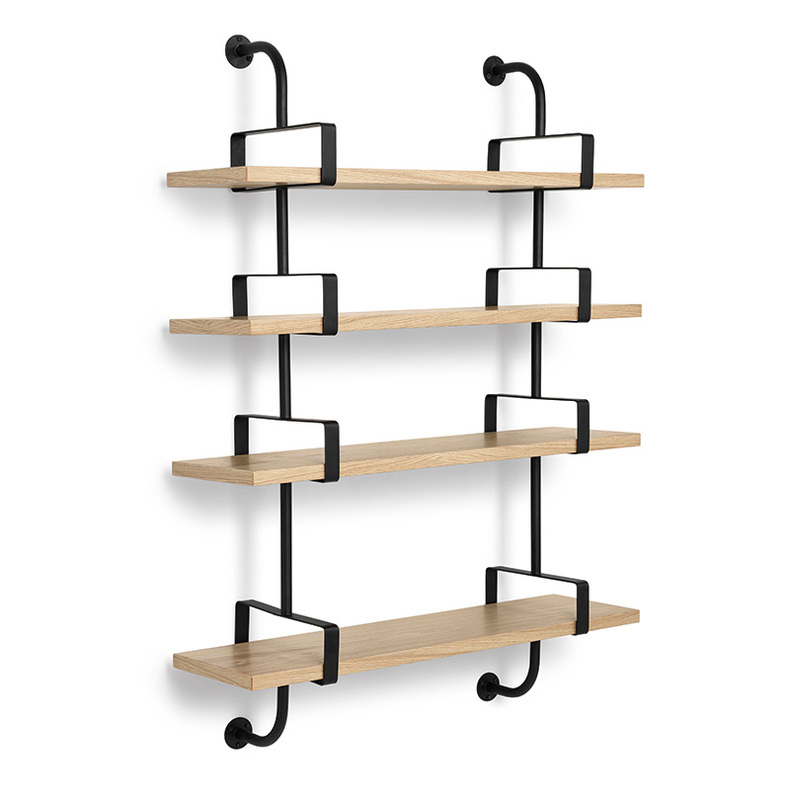 Demon shelves, design Mathieu Matégot, Gubi. 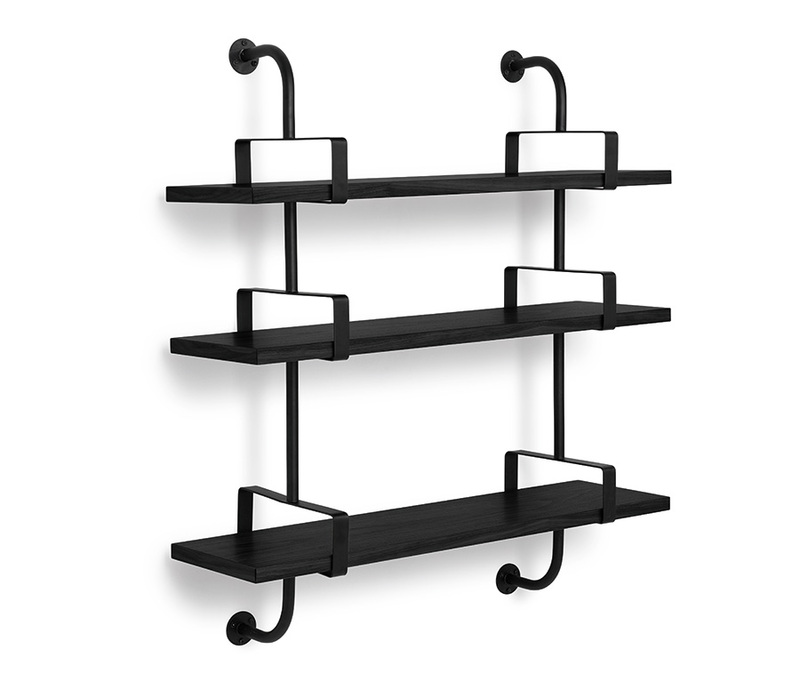 French designer Mathieu Matégot (1910-2001) is a design pioneer. 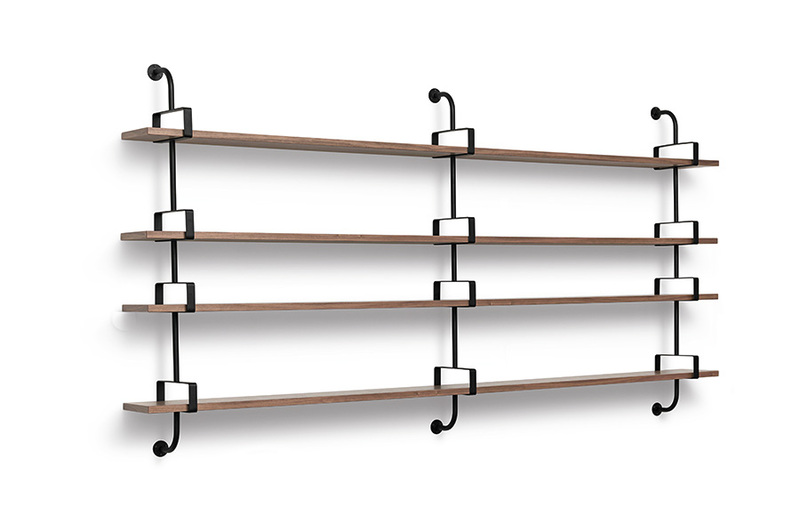 He invented the Rigitulle material, kind of perforated metal that is now his brandmark. 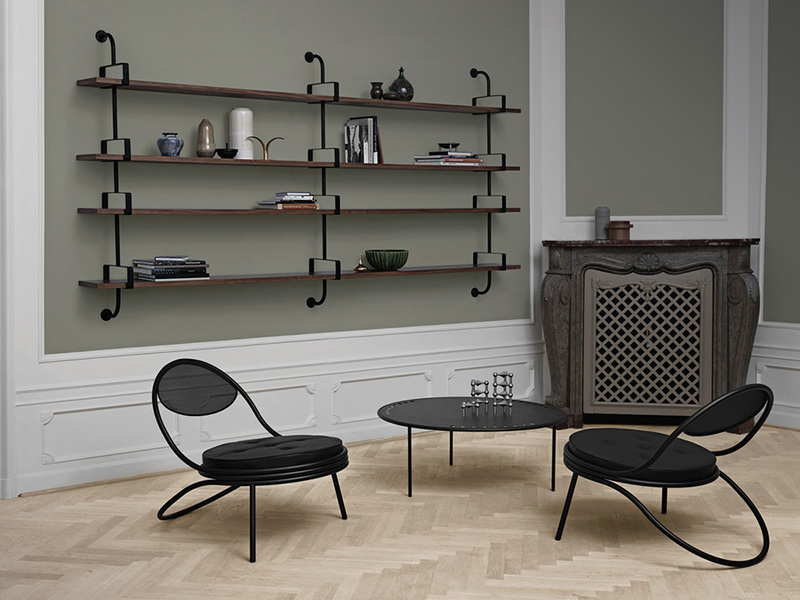 Gubi’s collection of original Mategot designs includes the Nagasaki Chair and Stool, Dedal Shelves, Kangourou table, Coatrack, Trolley, Demon Shelf System and the Copacabana Chair and Table. 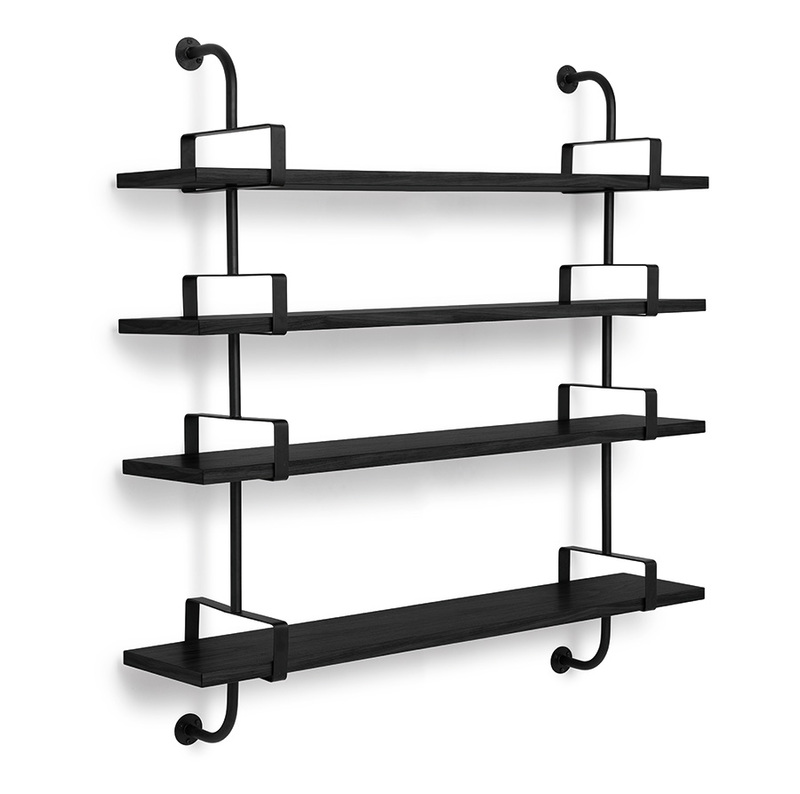 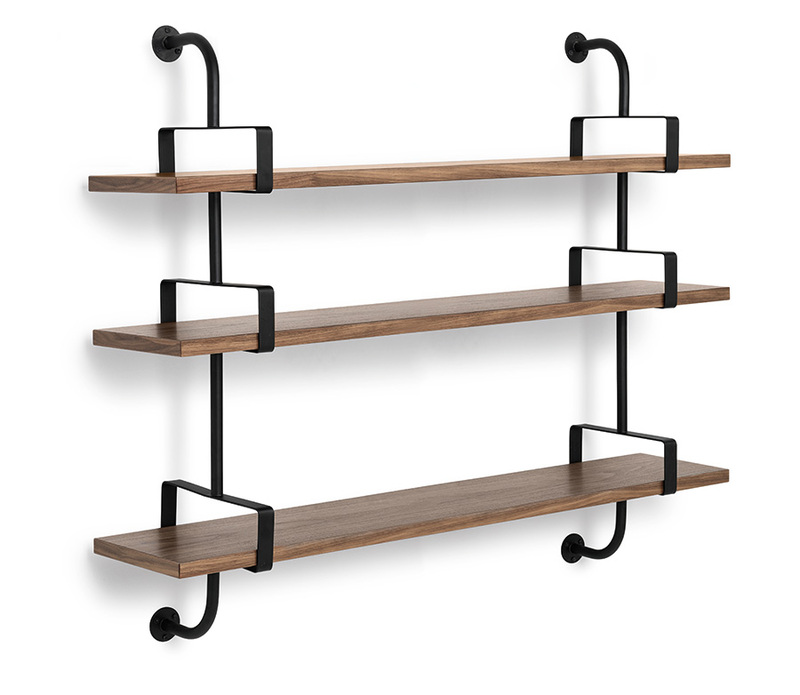 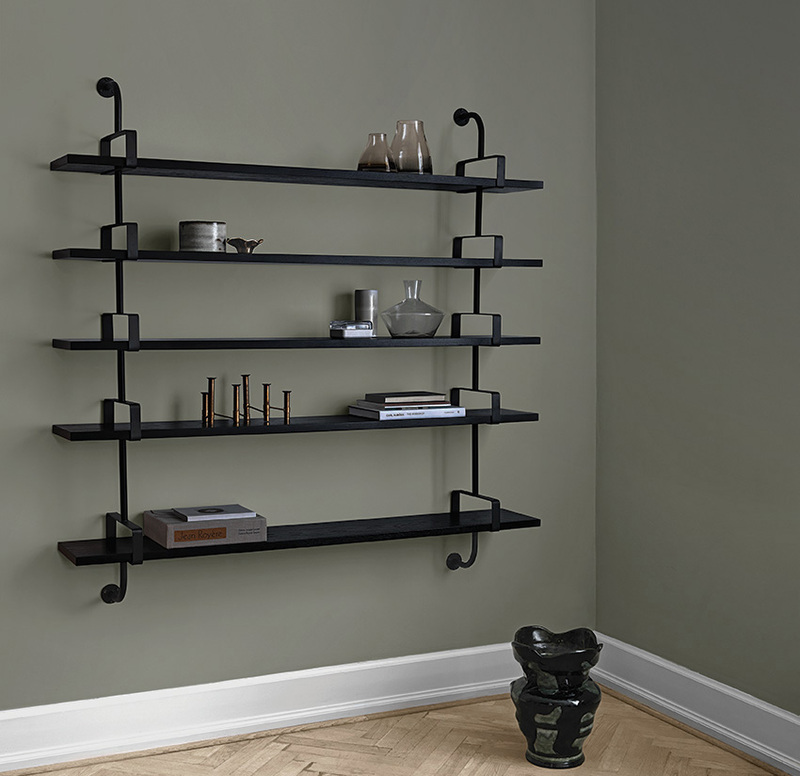 Modular bookshelves, wall mounting, with 2 to 3 black metal rack stringers and wooden shelves of 26 cm depth available in walnut, oak or black stained ash and available in 4 length: 95, 155, 215 ou 275 cm.